24pcs Diamond Nails. 24pcs Artificial Nails. 24pcs 3D Nails. 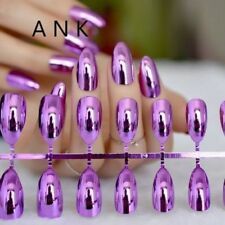 12pcs Artificial Nails. Christmas Nail Collection. Halloween Nail Collection. Valentines Nail Collection. Nail Art Decoration. 24pcs Artificial Nails. 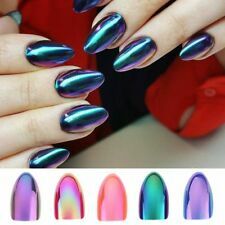 12pcs Artificial Nails. 24pcs 3D Nails. 12pcs 3D Nails. 24pcs Diamond Nails. Apply nails in warm water for 5~10 minutes gently peel pre-glued nail from each finger from cuticle. Nailene Daily Wear. Naturals False Nails. 20 nails in 12 sizes. False Nail. Nail Buffer. But We will include a free tube glue with every order of these. But we will include a tube free. Please Note the Glue may be Dry in the box! We will supply some of our own glue just in case. Revlon Runway Collection Mystic 91098 Black Tips with Silver Colour Design Medium Length * 24 nails. Please Note the Glue may be Dry in the box! We will supply some of our own glue just in case. The glue may be dry so we will include some extra glue just in case. 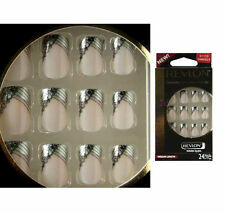 Revlon False Nail Studio 91104 Silver Design Medium Length * 24 nails in 12 sizes. 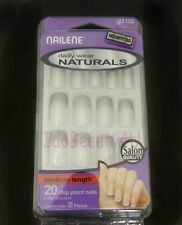 Nailene Runway Nail Couture French Manicure Silver & Black 71264 * 36 nails in 18 sizes. Finish off your nails to perfection with Nailene Nail studio artificial nails with a Glitter Leaf design. Nails in different sizes. Attach with nail glue or adhesive tabs. French polished style. The Artplus False Nail selection ranges from plain rich colours to airbrush nails right the way through to our soft touch false nails. All Artplus False Nails are made from high quality raw materials. $Click here to see description.